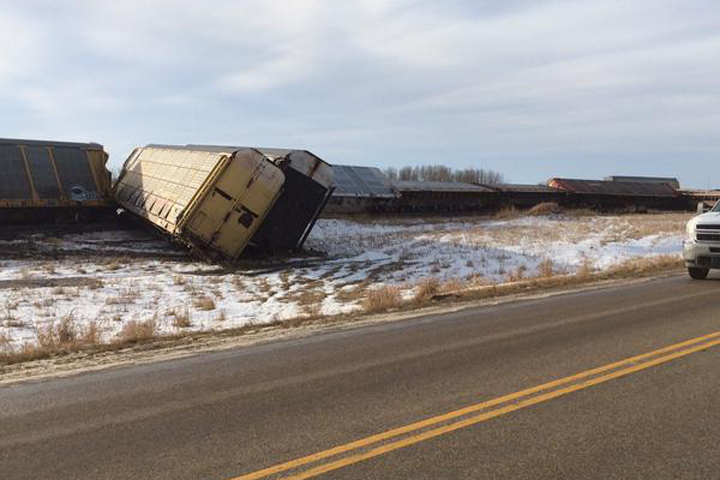 35 Canadian National Railway freight cars fell off the tracks December 12 about 3 km west of Raymore, Saskatchewan (CJME, CBC News, Regina Leader Post). CN had initially said 33 cars derailed. One of the derailed cars was loaded with a dangerous good – isopropanol alcohol. 22 derailed cars were carrying automobiles, while the rest were carrying steel, canned goods and mineral oil. The major derailment forced the closure of CN’s main line. See CN Railway Derailments, Other Accidents and Incidents for hundreds of additional examples of CN derailments, spills, fires and explosions. ~ by railroaded on December 13, 2014.